Can’t wait to put centerpieces together with these flowers for our parents 50th Anniversary party. 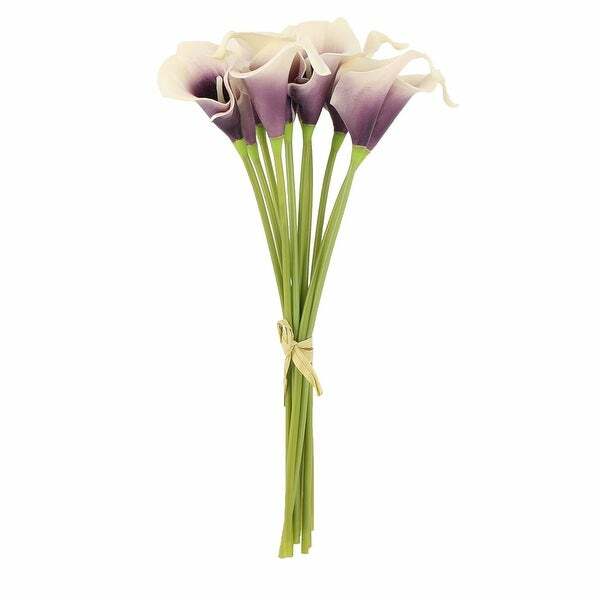 The calla lily looks elegant and nice.Suitable for house garden wedding celebration party room festival celebration decor etc. Unlike the real flower this Artificial Flower will never die off so that it can be a nice decoration for a long time. Insert this flower bouquet in to a vase (not included) it will be a beautiful decoration for your room or office. Available Color Are: Pink Beige Cyan Light Blue Off White Purple Yellow Red Yellow Orange. Notice: 1.Please allow 1-3cm error due to manual measurement. pls make sure you do not mind before you bid. ??????????? 2.The colors may have difference as the different display pls understand. Did not like this at all. So very small. "How many flowers are coming in that price package "